The first step in applying for financial aid is to complete a Free Application for Federal Student Aid (FAFSA) online. If you filed a FAFSA for the previous academic year, you may file a Renewal FAFSA online at www.fafsa.ed.gov. We strongly encourage you to complete the FAFSA or Renewal FAFSA as soon as possible after October 1st each year. Be sure to use IRS Data Retrieval to transfer federal income tax data needed from the IRS into your FAFSA. Please list Drew University and include our School Code 002603 on the FAFSA application so that we will receive your application from the federal processor. What are the financial aid application deadlines? FAFSA applications are available starting in October for the upcoming year. In order to receive maximum consideration for financial assistance, we recommended that you complete the FAFSA and submit it to the federal processor by February 15. Continuing students’ deadline is April 15. Am I required to be accepted for admissions in order to receive financial aid? Yes. 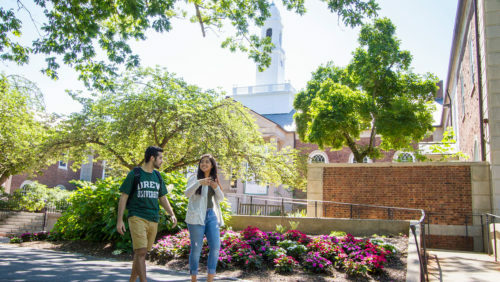 In order to receive any financial assistance in the form of grants, scholarships, work-study or loans, you must be admitted to Drew University through our admissions process. What happens if I don’t meet the financial aid application deadline? Late filers are processed with Federal Pell Grant, Federal Student loans, and Institutional aid (if available). Campus-Based aid such as Federal Supplemental Education Opportunity Grant (SEOG), Federal Work-Study, and Perkins will not be awarded to students applying for financial aid after the recommended deadline dates. Do I need to come in to apply for financial aid? No, you do not need to come in to the office to apply for financial aid. However, you may bring your completed FAFSA on the Web worksheet and federal income tax return to our office for review before submitting it online. May I make an appointment to see a financial aid counselor? Yes. Call or email our office at 973-408-3112 or email us at finaid@drew.edu to schedule an appointment with a financial aid counselor. Monday through Friday, 9 a.m.–5 p.m.
How can I better understand financial aid terminology? Financial aid has its own vocabulary. Refer to the Federal Student Aid Financial Aid Glossary to assist you with the most commonly used terms and acronyms. What will happen after I have completed and submitted my FAFSA? You will receive a Student Aid Report (SAR), a multi-page document that confirms your application has been received by the federal processor and reports back to you the information you supplied on the application. You will receive an electronic SAR at the email address you listed on your application. You must review the data for accuracy and make any corrections needed online. It has been a while since I filed my FAFSA application, but I still have not received my SAR. What can I do? No, provided that you have applied for admission and have listed Drew University and our school code (002603) as one of the schools on the FAFSA application, we will receive the information electronically from the federal processor. Yes. You must submit a FAFSA or Renewal FAFSA each year. The FAFSA applications are available beginning October 1 for the upcoming academic year at www.fafsa.ed.gov. The primary factor that determines whether or not you are eligible for financial aid is financial need. Financial need is computed by determining the educational costs (tuition and fees, room and board, books and supplies, transportation and other personal allowances) less your family contribution, based on federal formulas. The difference between the two numbers is your demonstrated need for financial assistance. A student that has no financial need may be eligible for a Federal Direct Unsubsidized Loan. Parents can also apply for a Parent Loan for Undergraduate Students (PLUS). A graduate student may apply for a Direct Unsubsidized Loan and a Graduate PLUS Loan. When are award letters mailed out? We begin sending award letters to incoming first year students in March. Returning student award letters are available to view on Treehouse in June. In order to receive notification of your need-based financial aid awards, your financial aid file needs to be complete. What are some of the common mistakes students make when filing for financial aid? Not filing the FAFSA/Renewal FAFSA application early enough. Not fully completing the application. Not using the correct social security number. Not using your correct name as it appears on your social security card. Not submitting information exactly as reported on your federal income tax returns. If the tax return differs from the SAR, corrections must be made. Reporting taxes withheld as opposed to taxes paid. What is the maximum income my family can make and still receive financial aid? There is no maximum income level. Your need for financial aid is determined by many different factors, such as the number of people in your family and how many of those people are in college. Additionally, there are many different financial aid programs to assist students at all income levels. The best way to find out what you might qualify for is to complete the FAFSA or Renewal FAFSA. Merit based financial assistance is awarded by the Admission’s Office when they are admitted to Drew University. If my parents are divorced or separated, whose financial data should be used when I’m completing the Free Application for Federal Student Aid (FAFSA)? If your natural parents are separated or divorced, and living in separate residences, use the natural parent with whom you lived with the most during the last 12 months. If you lived with neither parent, or lived with each parent an equal number of days, use the parent that provided the most financial support to you over the last 12 months. If that parent has remarried, you must also include the stepparent’s financial information on the application, and the parent and stepparent should report themselves as married on the FAFSA application. I am under age 24 and my parents do not give me any money towards my education nor do they claim me on their income taxes. How can I be declared “independent” in order to receive financial aid? You can’t be considered independent of your parents just because they refuse to help you with this process. If you do not provide their information on the FAFSA, the application will be considered “rejected,” and you might not be able to receive any federal student aid. The FAFSA will tell you what to do if you are in this situation. If you can answer “YES” to question #46 – 58, you are an independent student. Additional documentation may be submitted to our office to confirm Independent Status. If you answer “NO” to all of the questions, you are a “dependent” student. If you have extenuating circumstances, or the relationship between you and your parents has dissolved, you may be eligible for a Dependency Override. Please call our office and request to speak with a financial aid counselor to see if you qualify for a Dependency Override. I am going to be married during the school year for which I am applying for financial aid. Can I file as married? No. You must indicate your marital status as of the date you are completing the FAFSA application. You cannot update your FAFSA due to a change in your marital status. Contact the Office of Financial Aid about your change in circumstances. Divorce of parents or divorce of you and your spouse. Death of parent or spouse. Loss of other income or benefits (such as social security or child support) by you, your parents or your spouse. Excessive medical expenses paid out of pocket. If I am not eligible for financial aid based on financial need, is there any other financial aid available? Many scholarships are not based on financial need, but rather on academic ability or other achievements. Go to the scholarships link on our website for information. Federal student and parent loans also are available to all families. What is verification and why was my file selected for it? Many student FAFSAs are selected by the federal processor for a process called verification. This process is a federal requirement of confirming accuracy of data supplied by you and/or your parents on your FAFSA application. We will notify you by email and regular mail if your financial aid file has been selected for verification. Documents required may include IRS tax return transcripts, a completed institutional verification form, and other documents. The verification process must be complete before any federal aid or other need based aid can disburse to your student account at Drew University. What can I do to ensure that my file will clear the verification process? Before completing the FAFSA, we encourage all families to make sure you have all the appropriate documents needed to accurately complete the application, such as a copy of your federal tax return transcript. We strongly encourage students and parents to use the IRS Data Retrieval tool to file their FAFSA or Renewal FAFSA application. Why is the IRS Data Retrieval Tool recommended for FAFSA completion and verification purposes? The easiest way to provide your federal income tax data. The best way of ensuring that your FAFSA has accurate federal income tax information. Timely. It will keep you from having to order and provide a copy of your or your parents’ IRS tax return transcripts to your college, which can take several weeks to receive. Minimizes the chances that your FAFSA will be selected for verification. Verification may take 10 to 20 working days depending on various situations. However, during busy periods, the verification process may take longer due to the increased number of student files being verified. We encourage you to complete your FAFSA or Renewal FAFSA application early and to use our assistance in helping you fill out your forms accurately the FIRST time. Will I lose my financial aid if I fail to maintain SAP? Satisfactory Academic Progress (SAP) is determined at the end of the every spring semester. A student who is not maintaining SAP is placed on Financial Aid Suspension due to not meeting SAP standards and is ineligible for all types of financial assistance. Exceptions may be granted for extenuating circumstances beyond the student’s control. However, the student must have circumstances that are documented and must submit specific, required information for a SAP Committee Review. Can I appeal if I am ineligible for financial aid for failing to maintain SAP? Yes, you can appeal if you have extenuating circumstances that have contributed to your failure to maintain good standing. Documented medical reasons, serious illness, or death of a family member are examples that may be considered in an appeal. Please be sure to speak to a financial aid counselor for further guidance. What happens to my financial aid status if I drop or completely withdraw from school? If you have already received your grant monies and drop hours which change your enrollment status, you may be required to repay certain grants or student loans. If you completely withdraw from Drew University before the 61st percentile of the semester, you will be required to repay a percentage of the financial aid that you received for the semester to the U.S. Department of Education. In addition, you may owe the college additional funds that were initially credited to your account but have now been returned to the federal government by the institution. CAUTION: If you are a financial aid recipient and are thinking about dropping hours, withdrawing from any classes or completely withdrawing from the college, please consult with a financial aid counselor. This can have a negative impact on your SAP status. What is Federal Work-Study (FWS) and how do I apply for it? Federal Work-Study is a need based financial aid program that allows a student to work and earn money. To apply for FWS you need to complete the FAFSA. Drew University also has a Drew Student Employment program which is not need based. What is the Federal Supplemental Educational Opportunity Grant (FSEOG) and how do I apply for it? The FSEOG is a federal grant program that is for undergraduates with exceptional financial need who has a zero Expected Family Contribution (EFC). Priority is given to students who receive the maximum Federal Pell Grant. You must be enrolled in at least 12 credit hours to be considered. Applicants who apply on time will have priority access to campus based funding (FSEOG, Federal Work-Study, and Federal Perkins Loan). How do I apply for and receive scholarships through the College? Scholarships at Drew University are offered based on merit and financial need. At the time of admission to Drew University you will be awarded merit based scholarships and grants. Once Drew receives your FAFSA application, you will be evaluated for additional financial aid based on need. If you are awarded an outside scholarship, it is imperative that the college receives the funds from the donor in ample time to credit it towards your tuition and fees. When mailing the scholarship check to Drew, the donor must specify your name and student ID or SSN, the term in which the funds are to be applied, what the funds are to be used for (ex: tuition and fees) and whether any remaining funds can be given to that student. Please note that in some instances, this may affect your need based funds. Consult with your financial aid counselor for more assistance.